Blonde beer with high fermentation, Golden Ale style. 5.9% ABV. An authentic Golden Ale-style beer offering an amalgamation of flavours; a fruity sweet taste with a surprising citrus finish. Ideal as an aperitif (pintxo), served with dried fruits, snacks and all kinds of aperitifs in general. The recommended serving temperature is between 5º - 7ºC. 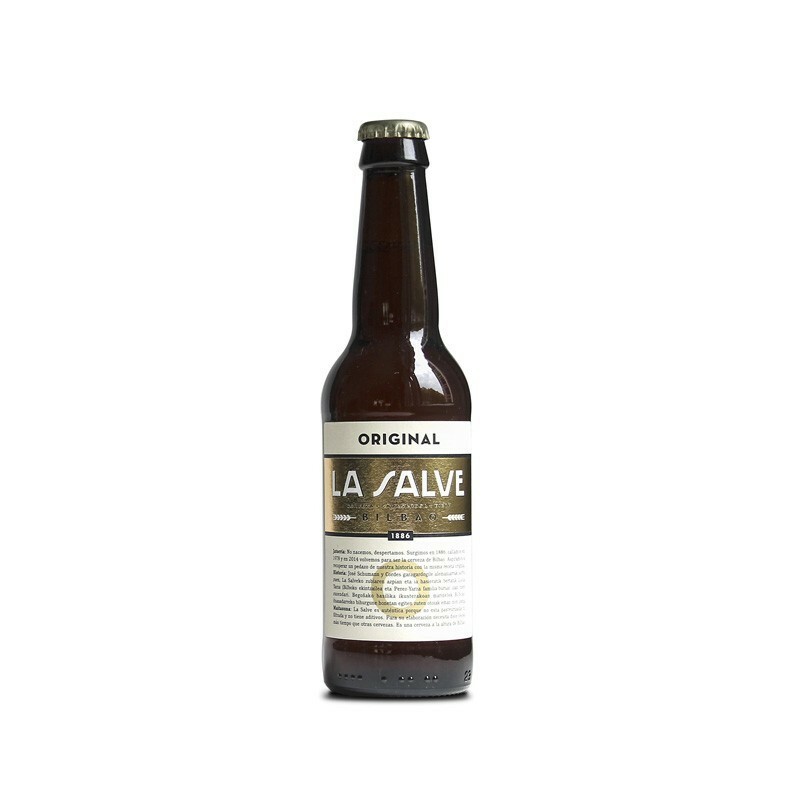 The history of Salve beer dates back to 1886 when José Schumann y Cordés, son of a German beer master, requested authorization to install a factory for making beer and carbonated drinks by the Bilbao River. Originally the factory was located in two previously constructed sheds in Campa de La Salve (Bilbao). One of them was used as a central warehouse for wine and for storing empty bottles, carts and other items. The other shed housed the beer maker’s oven, the vats, barley toaster, bottle sterilization area, water deposit, chilling units and an area for making carbonated drinks.